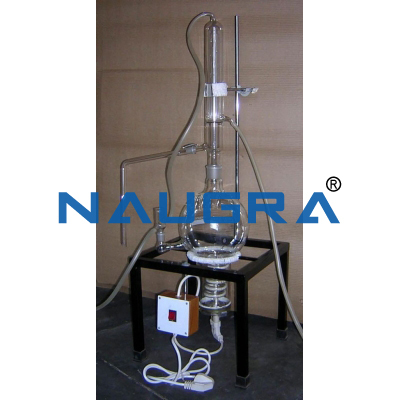 Naugra Lab Water Still Heavy Duty. 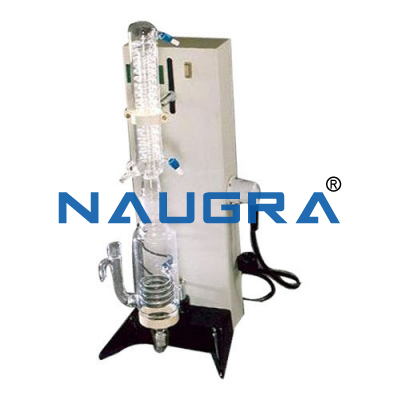 A free standing unit capable of producing pyrogen free distilled water used in the propagation of injectable solutions, lab research work, chemical reactions etc. 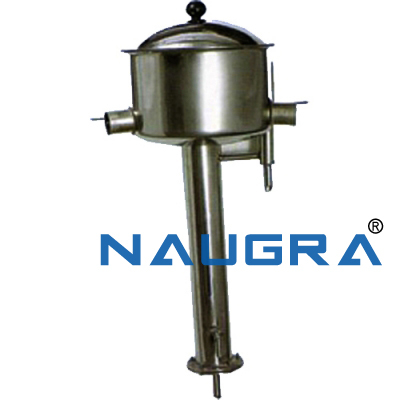 All contact parts are made of Stainless Steel (SS-304) Plate & Heavy Duty Flanges. 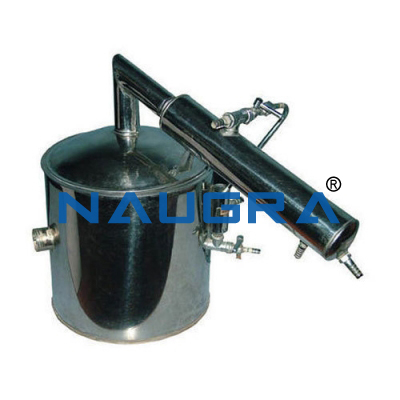 Mounted on a sturdy MS tubular stand. High efficiency electrical immersion heater fitted for faster heating effects. 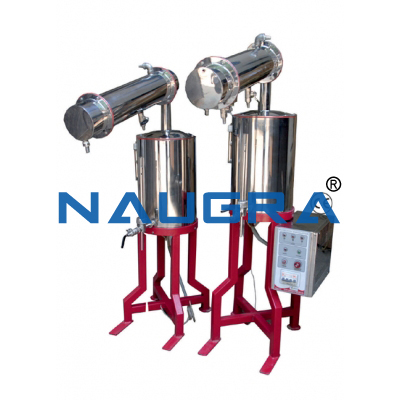 Supplied with LOW WATER LEVEL CUT-OFF device for general safety of heating element. Control panel fitted with ON/OFF switch, low water cut-off probe, mains/heating indicators etc. 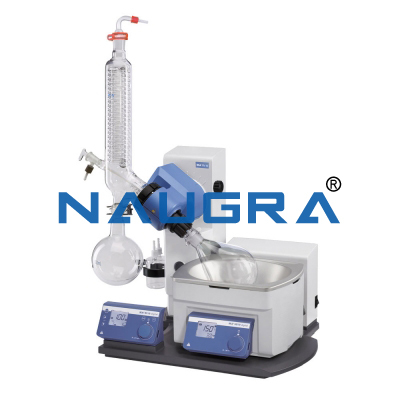 Other Related Teaching Lab Products, Scientific Instruments and Educational Equipments like Naugra Lab Water Still Heavy Duty. . .